The 35 Whelen is a rimmed round designed for hunting rifles. It was designed by Col. Townsend Whelen and James Howe in 1922. 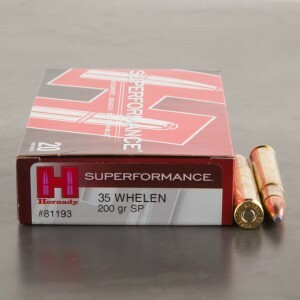 Since that birth, 35 Whelen ammo has been loaded into a variety of different rifles, including bolt actions, single shot, and is most popular in lever action rifles. 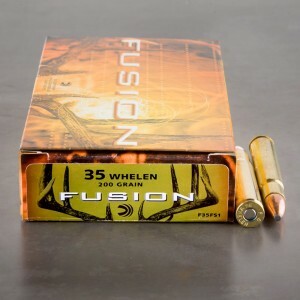 35 Whelen rounds are suited for hunting all North American game but are too small to be considered an African big game cartridge. Featuring muzzle velocities in the range of 2,500-2,900 feet per second, the cartridge holds a firm place in the hearts of many North American hunters today. 3 shot 1/2" group at 100 yds. Sako finnbear with Shaw barrel 1-14 twist. Best load out of 3 brands. 225 Barnes tsx worst 3". 250 rem core lock at 1" 3 shot group.